Creative Memories is Back! The story of the Creative Memories brand began over 30 years ago, in a friendly Minnesota town, where Creative Memories pioneered the memory keeping industry. Propelled by its dedication to offer the highest-quality scrapbook products and unbeatable service, Creative Memories became a global success and fortunately, the story of the Creative Memories brand didn’t end when the company faced some financial trouble. Over the past two and a half years, since launching the new Creative Memories in U.S., Japan, Canada and Australia, CM has been making customers delighted to have access to their beloved albums and products once more. My name is Teri and I am so happy that Creative Memories is back and better than ever! I joined the old company in August 2003 and have been holding crops since then! Creative Memories sells albums, papers, and tools for all your scrapbooking needs! My favorite products is our border maker, it’s unlike anything I have worked with! Hi, I chose to become an Educational Consultant because Discovery Toys offers the most outstanding developmental products for families – products of the highest quality with extraordinary value. I truly believe that play is a child’s work…children play to learn, to grow, and to experience the world around them. Through a high level of open-ended play, DISCOVERY TOYS® products encourage a child’s positive growth and development. Hello. Since 1997 I have worked nationwide as an Herbalife Independent Distributor. I was able to go from a size 14/16 to a 4/6 and have kept it off for over 21 years by using our nutritional products. I personally love helping others change their lives nutritionally as well as financially! We support the Herbalife Family Foundation (HFF) and its Casa Herbalife programs which bring good nutrition to vulnerable children worldwide. We also sponsor world-class athletes, teams and sporting events around the world, including the LA Galaxy and champions in many other sports. Hi, I am a Global Independent Enagic Kangen Water® Distributor because of the wonderful results my family and I have enjoyed with our Enagic Alkaline Water Ionizer Machine. We have the Enagic K8 and SD501 Kangen Water® Ionizers, and they work just as wonderfully today as they did the day we bought them! They consistently produce a large quantity of high quality ionized water for our family of six, and we feel the difference. Enagic means quality, and because we can feel the results every day we are confident you will too. We have shared this water with people all around the world – in the USA, Canada, Mexico, Europe, Australia, Germany to name a few countries, and everyone loves this water. We sell in every country, and we can also help you become a Distributor if you are interested, no matter where you live. Hi there! I am a busy wife, mother, and grandmother. I discovered MONAT after researching the internet for anti-aging products. I started with MONAT in August 2017 and it has been an amazing experience. I am looking forward to seeing this ground-level hair care company turn into a household name and billion dollar company in 2018. MONAT is a debt-free, anti-aging, naturally-based, toxic and cruelty-free hair care line which promotes new growth and less shedding. All products are made in the United States and warehoused in Miami, FL. The before and after testimonies of MONAT will blow you away. Scientifically backed and studied at Princeton University, MONAT is paving the way to be the number one hair care line in the world by the end of 2018. 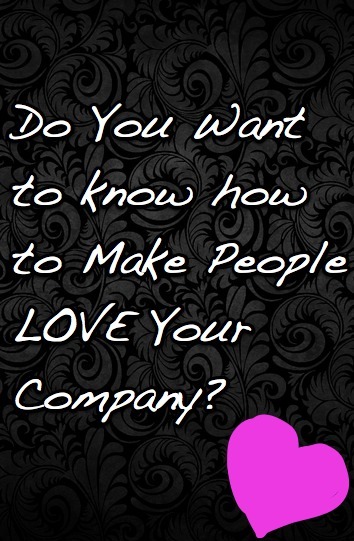 For some companies there is no shortage of LOVE. They have either been around forever and everybody knows what they’ve got is a MUST HAVE or they are new and the products they are offering are like nothing that has ever been on the market before. Either way, THEY ARE POPULAR and people LOVE these companies. If you are from one of the VERY POPULAR companies below, we’d LOVE to help YOU Get Found! Terri Ricketts Wood I am Terri Wood, Diamond Distributor with It Works Global. I offer Health and Wellness Products to help my customers look and feel better. Have you heard of that crazy wrap thing? Tone, tighten and firm your skin in as little as 45 minutes. It’s not water loss but the wrap actually shrinks the fat cells and removes toxins from the body!The Ultimate Applicator can be placed on any part of the body that you want to firm up! We wear it for a minimum of 45 minutes, however, the progressive results continue for up to 72 hours! Our second best selling product is our Greens. Eight servings of organic fruits and vegetables. This alkalizing powder gives one energy while detoxifying the body! Mix with any beverage to get the benefits! We love our Defining Gel. This is the same formulation as the wrap, however, it is not as concentrated. Great results are achieved by using this “liquid gold” twice per day. Bikini season will be here soon and our products will assist you in getting beach/pool ready! My business is also booming! I’m looking for new reps for these amazing products? Our company grew 500% last year and continues to have month after month of record breaking growth! Check out my Facebook page, Terri’s skinny wraps for before and after pictures. To purchase retail, go to https://bskinny2smom.myitworks.com/Shop. Or contact me at (615) 430-6604. I’m happy to help and answer all of your questions!